Further down on this page you’ll find photos taken at the event. 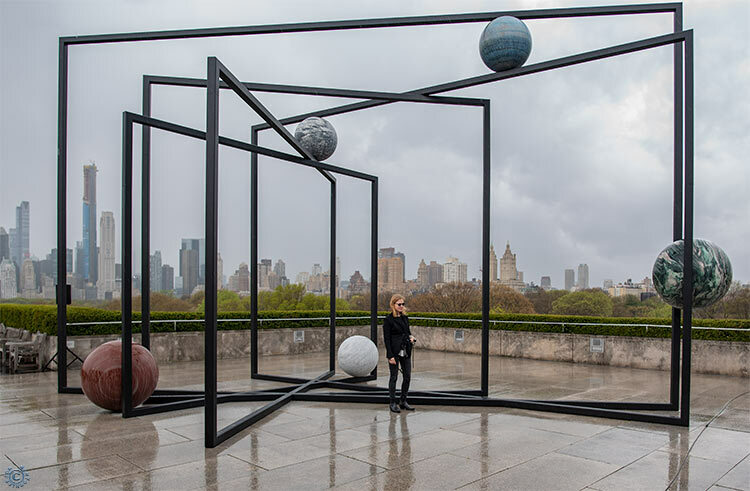 On April 15, 2019 we gathered for the unveiling of Alicja Kwade’s wonderfully artistic work, ParaPivot atop the Metropolitan Museum of Art’s Cantor Roof Garden. This work, commissioned as the seventh of its kind will be on display at the museum from April 16 until October 27, 2019. You can read up on the announcement of this commission here at an earlier posting. 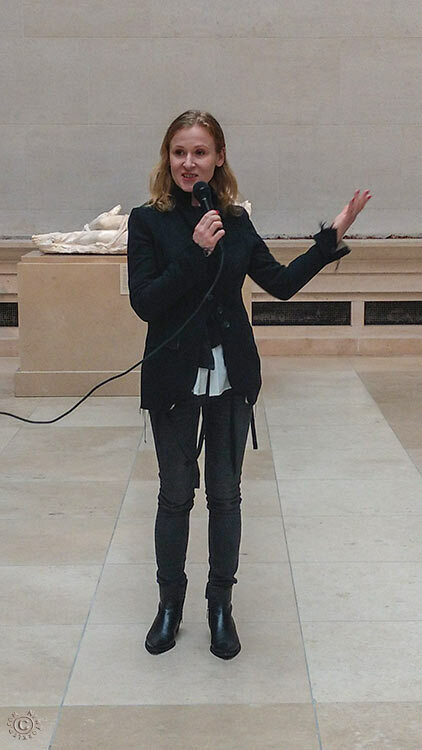 You can also view videos from the event on this page. 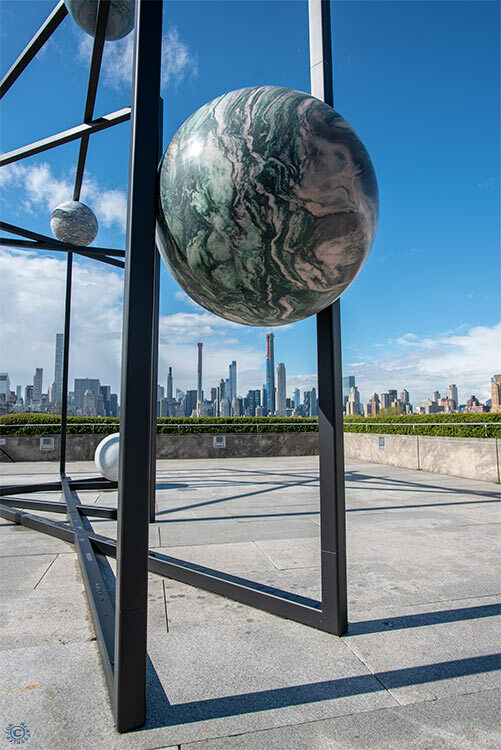 Glancing southward from the roof, one catches sight of the midtown skyline with the exhibit’s sphere’s and rails acting as a guide. As a photographer, and someone who’s 100 levels shy of being any sort of art connoisseur, I envision (with the aid of an eye squint or three) many a composition. 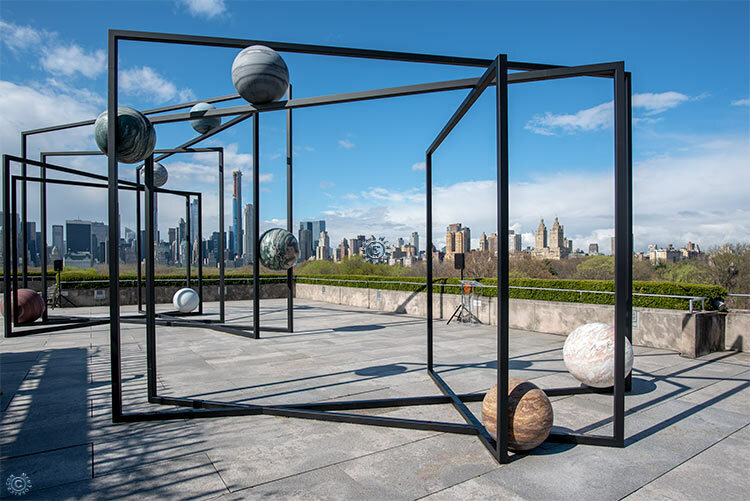 Thus, I look forward to returning to the Met’s rooftop, with camera in tow, for the sake of capturing Alicja Quade’s orbs at varying angles and perspectives; all whilst putting to use my different lenses as well. Whether armed with an ultra-wide or zoom, this is the sort of item us photographers in the Big Apple look forward to, and well, the Met never ceases to disappoint. 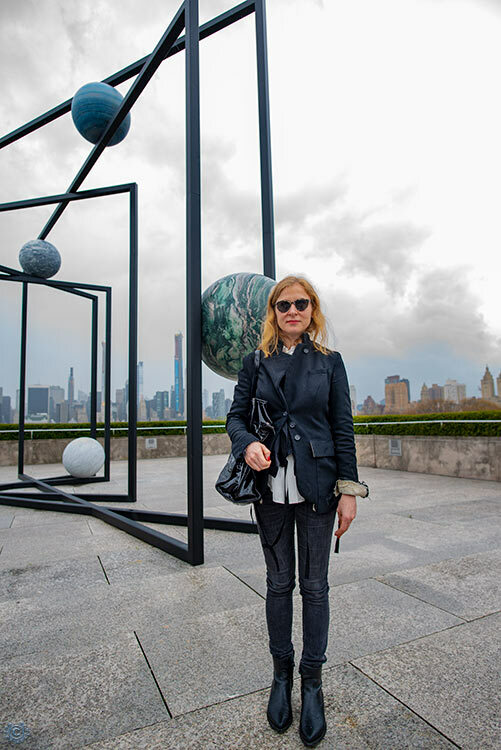 “”Using a wide range of media, Berlin-based artist Alicja Kwade (born Poland, 1979) creates elegant, experiential sculptures and installations that reflect on time, perception, and scientific inquiry. With equal parts poetry and critical insight, she calls into question the systems designed to make sense of an otherwise unfathomable universe. 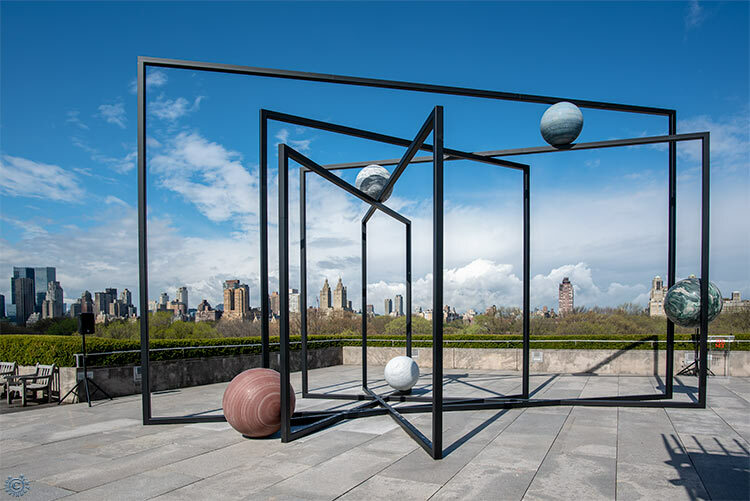 For The Met’s Roof Garden Commission, an annual site-specific installation by a living artist, Kwade has created ParaPivot I and II. These towering sculptures consist of powder-coated steel frames that intersect at oblique angles. Nestled within are massive spheres that float in apparent weightlessness. The carved and polished stones, each with a unique color and intricate patterning, are nine different types from as many countries, including Hermelin from Norway and Azul Macaubas from Brazil.